Yes, name is Veronica Pepsy Garcia and go by my middle name, Pepsy. I was born in Inglewood, CA and grew up in Hawthorne, CA – Quito, Ecuador – Norwalk, CA and now as an adult settled down in Santa Fe Springs, CA…. Always with the love of baking as a way to escape from the ‘Real World’. Started with box cakes as a young bean, grew into baking from scratch, with some recipes that have been handed down from some very wise bakers that I am blessed to have in my life. Shortly after graduating from the Northwood University I packed my bags and enrolled into the Bonnie Gordon College of Confectionery to gain my Cake Designer Degree. Soon after returning to California I continued my studies and gain my Professional baking and Pastry Chef Title. Which got me to where I wanted to be. Now I find myself baking and decorating cakes every single week. 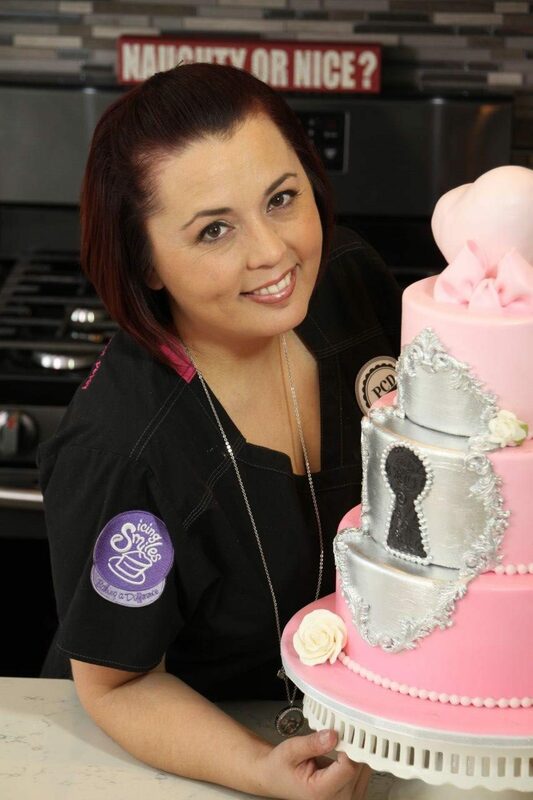 Doing Live Demos weekly and looking forward to sharing my knowledge with other Bakers.